Canada’s Prime Minister, who was once a libertarian, recently announced the forthcoming closure of the government-run marketing agency known as the Canadian Wheat Board. For several decades, western farmers have been compelled by force of law to market their wheat through the Wheat Board. Many farmers had already marketed their own wheat outside of the state-run marketing agency and served jail sentences as a result. 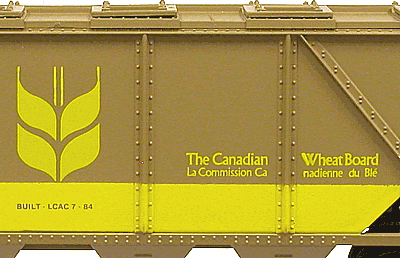 The marketing agency collects wheat from across Western Canada into a single pool, then negotiates the market price with buyers. It has allowed less efficient farmers to earn higher income, courtesy of their more efficient and productive counterparts, who wish to market their produce independently of the Wheat Board. Some farmers have expressed the fear that they’ll be ruined without the Wheat Board and will have to sell their farms. They have advised the public that farmers have taken a democratic vote and that 62% of them voted in favor of retaining the government-run marketing agency. However, a story leaked out suggesting that the 38% of farmers who voted to abolish the Wheat Board were also major producers who accounted for over 60% of Western Canadian wheat and grain production. It appears that productive farmers were cross-subsidizing their less efficient counterparts, for whom the Wheat Board provided a lifeline. Several Western farmers had earlier severed ties with the Wheat Board and joined the ranks of farmers who grew lentils, chickpeas and other legumes. The legume farmers independently market their produce to domestic and overseas markets. About two years ago, weather conditions in India severely restricted their legume crop, especially the prized little red lentils. India’s demand for the little red lentils soared just as a bumper crop of Canadian grown red lentils was ready for market. Assisted by computer telecommunications, the lentil farmers found eager customers in India who were willing to negotiate prices. Shiploads of lentils grown in Western Canada then began arriving at Indian maritime ports. The minority of wheat farmers who account for the majority of Western Canadian wheat production wish to market their produce as do the legume farmers. It has become apparent that a free-market approach in grain marketing would cause turmoil for the majority of wheat farmers. Some have complained of being too old to switch to a different crop. Others have said that they may sell their farms to their more productive neighbor farmers. However, there is the unexplored possibility of free-market entrepreneurs entering the Western Canadian agricultural sector with ideas and concepts that could make smaller farms more efficient and more productive. "The minority of wheat farmers who account for the majority of Western Canadian wheat production wish to market their produce as do the legume farmers. It has become apparent that a free-market approach in grain marketing would cause turmoil for the majority of wheat farmers." The precedent of the success of legume farmers across Western Canada suggests that some farmers could switch to other crops. A project in Alberta combining solar thermal technology with underground thermal storage may offer some opportunity. A layer of subterranean porous rock was solar heated to over 80°C (180°F) during the summer months and provided district heating for a town subdivision during the winter months. There may be scope to adapt such seasonal thermal storage to winter greenhouse operation, perhaps producing hothouse-grown vegetables during the winter at prices lower than imported produce. Over a period of many decades, the oil and gas industry across Western Canada drilled over 10,000 deep test wells during their exploration phase. Most of these wells proved unproductive and their entrances were plugged with concrete. Modern technology can unplug these entrances and provide access to the geothermal energy located deep in each well. Modern flex-head drilling technology can drill an interconnecting passage between the lower elevations of two closely situated wells. The thermal energy capacity of such interconnected wells may be sufficient to sustain the winter heating requirements of a residential subdivision or that of an agricultural hothouse. Geologists have long known that oil- and gas-producing regions may also hold deposits of coal and deposits of rock salt embedded in the bedrock. The natural gas industry flushes the rock salt from the deep-level salt caverns and uses the volume to store natural gas pumped to high pressure. Similar caverns located near the surface are unable to hold high internal pressure. However, such caverns may be able to store floodwater after having being flushed of rock salt. Caverns that have been flushed of rock salt may offer massive water storage capacity to sustain crops that may require additional water during the summer drought season. During the late 19th century, machinery companies rented out various types of agricultural machinery and manpower to owners of small farms who could not otherwise afford to purchase such technology. The impending closure of the Wheat Board may once again provide opportunity to re-introduce that proven business model and others like it to help smaller-scale farmers. Since the end of the 19th century, there have been numerous advances in agriculture that may be applied to smaller-scale farms that operate outside of marketing agencies. The list includes developments in vertical agriculture and specialty crops that may be grown across Western Canada. The impending closure of a coercive Wheat Board will require a percentage of farmers across Western Canada to adapt to the changes of a free market. They may sell their farms to other entrepreneurs or they may take the initiative to explore other possible opportunities in other potentially viable areas of commercial agricultural production. A free market in western agriculture will also inevitably benefit from spin-offs, developments and discoveries from the energy sector being applied to the agricultural sector.